Dinner: We went over to our friends Kent and Larisa's place where they made us ramen. The noodles were from a package, but the pork soup base, pork shoulder, pork belly, and egg were all homemade. The egg was poached in the shell sous vide until perfection with the yolk just firmed up to a creamy custardy consistency. An excellent dinner! 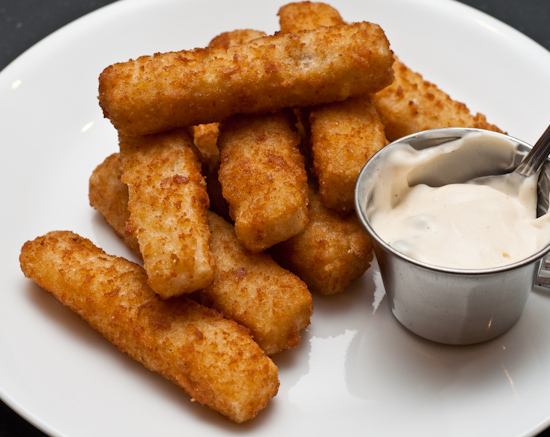 Lunch: I heated some fish sticks in the convection oven and made a tartar sauce for lunch. Wow… you know those guys too? Small world. Impressive looking ramen. 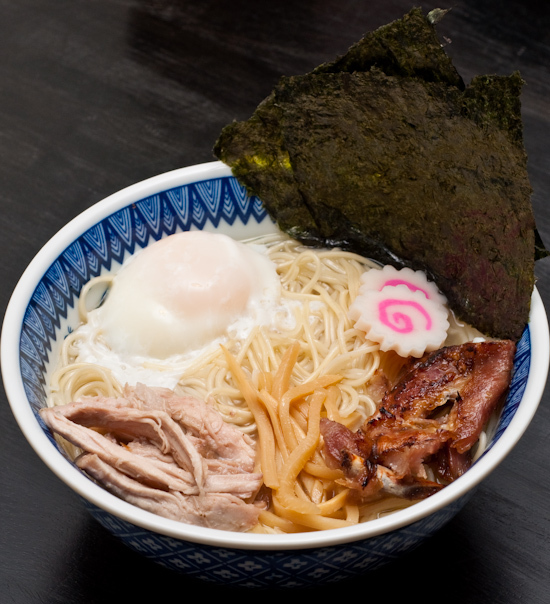 Have you found any restaurants with decent ramen around town? I haven't found good ramen in Austin yet - My constant complaining is what prompted Kent to invite us over for ramen. Kent and I chatted about making the noodles briefly. I think the trouble with ramen noodles is access to the alkaline salts to give it the correct taste and texture. (Like lye in the production of masa.) I vow to try it some time.